ARTHUR is only in New York for the summer, but if Broadway has taught him anything, it’s that the universe can deliver a showstopping romance when you least expect it. BEN thinks the universe needs to mind its business. If the universe had his back, he wouldn’t be on his way to the post office carrying a box of his ex-boyfriend’s things. 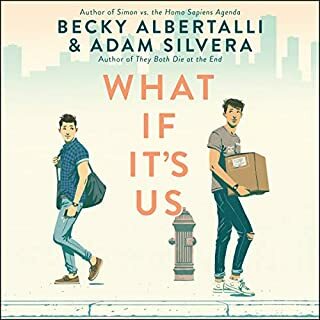 But when Arthur and Ben meet-cute at the post office, what exactly does the universe have in store for them? Maybe nothing. After all, they get separated. Maybe everything. After all, they get reunited. As dusk approaches a Dublin suburb in 1984, mothers call their children home. But on this evening, three children do not return. When the police arrive, they find only one of them. He is gripping a tree trunk, wearing blood-filled sneakers and unable to recall a single detail of the previous hours. Twenty years later, the found boy, Rob Ryan, is a detective. When a girl is found murdered in the same woods, he and Detective Cassie Maddox must investigate a case chillingly similar to the unsolved mystery. Cameron Bates (Cam) could have almost any girl at Franklin High School...except for the one he wants. Unfortunately Bebe seems to be immune to his flirty charm and good looks, which means one of two things: a) she's completely oblivious to how he feels, or b) she's just not into him. If that's the case, declaring his love would be disastrous for their friendship. Bianca Barnes (Bebe) has a huge problem: the universe hates her. Every time she admits feelings for a boy, he ends up falling for her sweet, popular, and beautiful sister Beth. Didn’t hate it.... but also didn’t love it. Lacey Barnes has dreamed of being an actress for as long as she can remember. So when she gets the opportunity to star in a movie alongside one of Hollywood’s hottest actors, she doesn’t hesitate to accept the part. But Lacey quickly learns that life in the spotlight isn’t as picture-perfect as she imagined. She’s having trouble bonding with her costars, her father has hired the definition of a choir boy, Donavan Lake, to tutor her, and somewhere along the way, she’s lost her acting mojo. Drama. Jerks. Another new school. Those are three things Kassidy Perry vows to avoid her senior year of high school. Unfortunately, it looks like the Universe didn't get the memo. 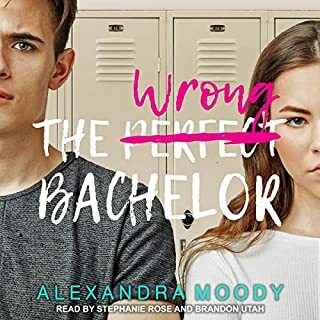 When her mom marries the football coach from a rival high school, Kassidy's forced to move (again), enroll in a new school (again), and adapt to life with three stepbrothers, including the school's star quarterback who's barely said two words to her. Nothing about her senior year is turning out the way Kassidy planned - and that's before a revealed family secret drops the biggest bombshell yet. When Ruby woke up on her 10th birthday, something about her had changed. Something frightening enough to make her parents lock her in the garage and call the police. Something that got her sent to Thurmond, a brutal government “rehabilitation camp.” She might have survived the mysterious disease that had killed most of America’s children, but she and the others emerged with something far worse: frightening abilities they could not control. Seventeen-year-old Molly Peskin-Suso knows all about unrequited love. No matter how many times her twin sister, Cassie, tells her to woman up, Molly can't stomach the idea of rejection. So she's careful. Fat girls always have to be careful. Then a cute new girl enters Cassie's orbit, and for the first time ever, Molly's cynical twin is a lovesick mess. Meanwhile, Molly's totally not dying of loneliness - except for the part where she is. Luckily, Cassie's new girlfriend comes with a cute hipster-boy sidekick. Dubbed "Dumplin'" by her former beauty queen mom, Willowdean has always been at home in her own skin. Her thoughts on having the ultimate bikini body? Put a bikini on your body. With her all-American-beauty best friend, Ellen, by her side, things have always worked...until Will takes a job at Harpy's, the local fast-food joint. There she meets Private School Bo, a hot former jock. Will isn't surprised to find herself attracted to Bo. But she is surprised when he seems to like her back. Wow! What a great book! 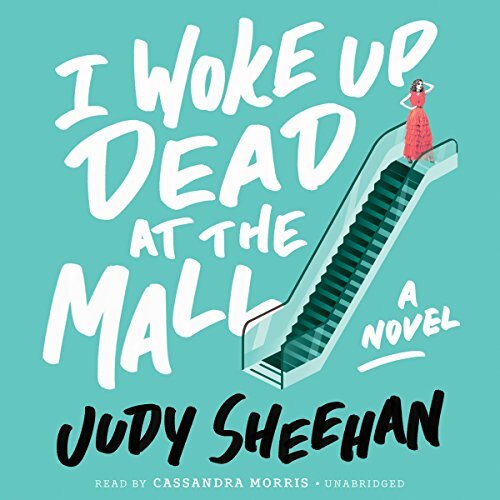 Judy Sheehan's debut young adult novel is a terrifically fun listen that also tackles some of life's - and the afterlife's - big questions. Last night Sarah was a bridesmaid, dressed in a hideous mango chiffon. Today she wakes up dead at the Mall of America. This is where the universe sends teenagers who were murdered. In fact most malls are haunted. The living don't notice it, what with all the bright lights, sales, and free samples. The dead just pass through them while finishing up the business of their former lives. 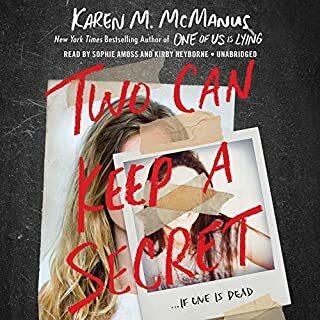 As Sarah and her fellow dead teenagers work together to move on, she hits just a few complications: Sarah discovers an uncanny ability to haunt the living, and while she has no idea who killed her, she knows the one person she loves back on Earth is in grave (yes, grave) danger. Meanwhile, she's falling madly and badly for Nick, who died heroically saving his girlfriend. Sarah can't let these distractions put her at risk of being doomed to relive her final moments again and again. But how can she stop her killer from killing again? ©2016 Judy Sheehan (P)2016 Blackstone Audio, Inc. I was looking for something light and entertaining to listen to. And this book did not disappoint. It was well written and moved along at a good pace. It was fun without being stupid. The story was imaginative and didn't get bogged down in trying to be philosophical about the after life. Overall, a good read/listen. The narrator did an excellent job. What did you love best about I Woke Up Dead at the Mall? 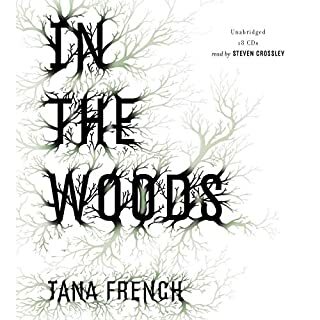 I loved the dark humor and the escape this book offered me. I've read a few more serious books recently and ended up picking this book when I was looking to de-stress. The love story part was a tad bit annoying at times (and I'm usually a hopeless romantic), but it didn't ruin the overall story. I think the best part of this book for me was Sarah's internal thoughts and her pondering over questions. I loved this book. It is such a beautiful way of thinking of the afterlife. I like that it doesn't have to do with religion. It is such a positive outlook on death and the characters were great. I LOVED this book! The story was funny and sad and joyful. It was awesome all the way through! 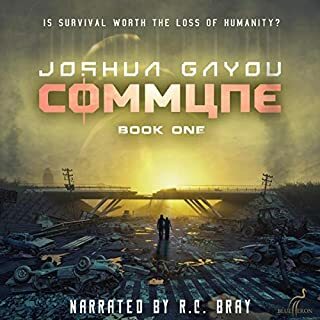 The narrator is a favorite of mine. She always does an excellent job! Interesting and funny read. May never think of afterlife the same way again! Sara and her dead mall group learn and experience epiphanies pst death. Very sweet story. Would be nice if this was what the afterlife was really like. It was hilariously funny and heartbreaking at the same time! Loved the sass!!! Perfect narration, very well written! Fun, lighthearted read. Very much enjoyed. The narrator was adorable and added a sweet touch to the novel with her voice acting. Very strange book and honestly, I wasn't expecting it to be that great. However, it was really unique and incredible. Nothing like anything I've read before and a story that will stick with me for quite some time. Wow! I loved this book so much! I wish there were more. 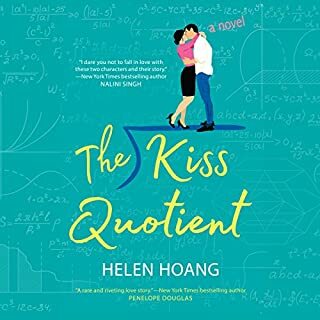 The author is witty and the characters are so well written you really get all their personalities. It was funny, sad and beautiful. The narrator was absolutely fantastic! Wow! You should give it a chance. I didn't expect to enjoy this book so much. Yes its YA but it explores an alternative after life that I found interesting. And unfortunately, I lost a family member at a young age to cancer so it's nice to think that maybe, just maybe she might have had an option like this after she passed. This is a fun quick read and I recommend it as something light, but also something that makes you think a little deeper. It reminds you to not take any day for granted and to show your appreciation for your loved ones while they are still here.